Sameer was 10 years old when he first entered the doors of Koseli in April 2014. The lady who brought him, told us that he has been homeless for the past 2 years. His mom had abandoned him at his old school and never returned to pick him up. Prior to coming to Koseli, he was washing dishes at a restaurant just to feed himself and was sleeping on the streets of Kathmandu as he had nowhere to go. When I first looked at Sameer, he was covered in grime and dressed in rags. His face was expressionless and he did not utter a word. He looked like a living statue. His innocent face touched my heart forever. I just wanted to see his spirit alive with laughter and happiness. 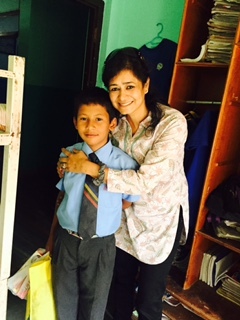 Although Koseli doesn't have boarding facilities, we decided to keep Sameer at school until we found him a home. With lots of extra attention, love and care, we finally succeeded to get his smile back. He became a dedicated student and enjoyed singing and sports. In April 2015 (just before the earthquake) he was accepted in to a private boarding school with the help of a Sponsor. 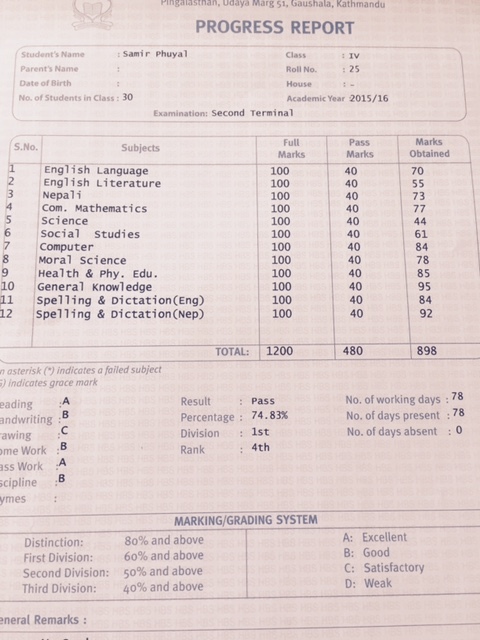 Within six months at the new school, we saw a remarkable change and improvement in Sameer. 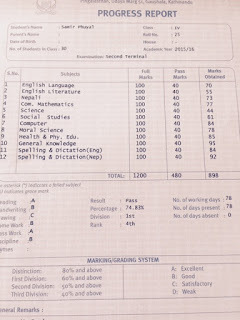 In his recent exams, Sameer was ranked 4th in class of 30. What I really find touching is that Sameer gives all credit to Koseli and his Godfather sponsor for giving new direction to life and still calls Koseli his home. Sameer's sponsor has helped Koseli change Sameer's life and has achieved great fulfillment. You also can transform a child's life.... Hold a Hand today and help us start a new story. "You must be the change, you wish to see in the world." Thank you for your feedback but I am sorry to say that some text seems to be missing. Nice post!This oneis perfect for these who take an interest in education in Nepal.